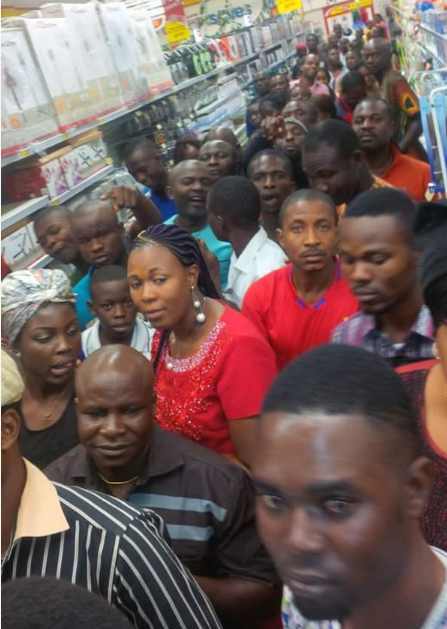 The recently opened Shoprite in Onitsha has turned into a huge market within a mega supermarket. Here is a photo of what it looks like on Sundays. One has to be very careful to navigate the terrain.